It's not often that I get a lot of LG phones to review so I recently grabbed the opportunity to try out the LG GD510 Pop although only for a few hours. The LG Pop is somewhat like a replacement to the LG Cookie so let's take a look if it's an improvement. It's been a while since I've last seen an LG Cookie but it seems that although both mobile phones sport a 3 inch touchscreen, the LG Pop seems a bit more smaller and compact. Maybe because LG trimmed down the hardware buttons to just one on front of the LG GD510. At first it seems a bit odd that you can use that one button to start and end calls but never to reject an incoming call. Maybe they should have just done an Apple and used that one button to serve as a home key and leave any call functions to the screen. Well, going back to the design, the build quality is quite good and seems quite sophisticated for a mobile phone that is supposed to replace the LG cookie. LG added three homescreens to the LG Pop and there's still the familiar widget interface found on the LG Cookie. Like on the LG Cookie, you can still arrange widgets by shaking the phone. The screen is actually quite responsive and scrolling through lists is faster than the Samsung Genio Touch. Of course, the LG Pop will probably be priced higher than the Samsung Genio Touch and would compete directly with either the Samsung Tocco Lite or Samsung Preston. The second homescreen doesn't have widgets but lets you arrange your contact icons. The third homescreen is similar to the second homescreen in the sense that it's also for your contacts but it has a different graphical interface. There are four shortcut icons at the bottom of the screen which, as far as I can tell anyways, can't be customised. The four shortcuts are for the phone pad, the contacts, your messages, and the main menu. 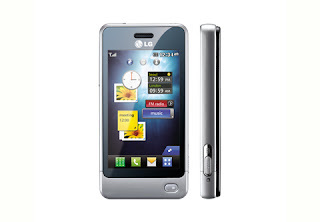 The LG GD510's user interface is definitely an eye candy and has a good touchscreen response. Of course, the usual lag when opening programs is still there but it's not noticeable. 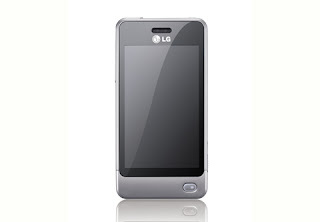 The LG Pop offers haptic feedback and three input options: QWERTY, alphanumeric keypad, and handwriting recognition. The QWERTY keypad doesn't offer an alternative symbol/number for each letters which is kind of a bummer, I was getting used to just pressing and holding to enter a number like on my other handsets. Furthermore, the handset I tested didn't have a QWERTY keypad when in portrait mode, only in landscape mode, similar to the Samsung i8910. Maybe newer handsets would sport a QWERTY keyboard on portrait mode, I don't know, but for those used to using their phones in portrait mode, this might be irritating. The music player is pretty good and has some equalizers and you can also view the Album Art and filter your music by album, artist, recently played, or all songs. Sound quality is pretty good although better test it out in store since as I keep mentioning, not really an audiophile here. The video player is okay although there's no support for DivX. There's also an image gallery but I like Samsung's way of viewing their images. Unfortunately, due to the lack of WiFi and 3G, I wasn't able to test the browser of the LG GD510 Pop. Now here's what I really like about the LG Pop: its pre-installed games. There are six games all in all but two of them are like demo versions. But still, that's more compared with what Samsung's offering on their handsets and most of Samsung's pre-installed games are only trial versions (at least, on the ones I've tested). The LG Pop has a 3 megapixel camera without autofocus and flash. Image quality is decent especially in sunlit environment but I prefer the Samsung Genio Touch's camera when it comes to low light shooting conditions. The LG GD510 Pop pretty much offers the same features as the LG Cookie but makes up for a more responsive toucscreen, better UI, and a better build quality. 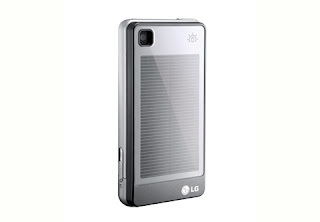 I'm sure the LG GD510 Pop will not find it hard to copy the LG Cookie's success given what it has to offer, plus an optional solar back panel would definitely entice this mobile phone to treehuggers. Torn between the Tocco Lite and The GD510 Pop. Any recommendations? Get the GD510. I love mine! At this low price we can live without the bells and whistles of the more expensive phones in the Icon range..
it's a great phone with a good camera for that price! I love this phone; the only irksome things are, it eats battery like nobody's business especially if you are playing games; so generally I have to charge it every 48-72 hours even if not making any calls during that time period; also it isn't responsive enough for some touchscreen games which require very quick number input, including the brain game that was included on mine. Does anyone know where to buy it in pink? also, how much is it? and my last question, can you download free applications of the internet? is the touch screen responsive compared with the samsung Cara or iPhone? you must be mad to compare POP with iphone.. but POP works excellent at its price range and i think much better than all those corby's. The only problem i had is that it eats up too much battery..
im thinking of buying it, it looks like an easy-to-use phone, so why not give it a try to be honest! !